Lying off the western coast of Tenerife, just a two and a half hour ferry ride but a millennium away from its better known neighbour, is the fertile and unspoilt island of La Palma. Giving mass tourism a wide berth in favour of unspoilt, natural beauty, La Palma is predominantly known for its magnificent walking trails, but to those who still like their vices every now and again, it’s also the place to find some of the world’s finest cigars and tastiest rum. Visit the slopes of Breña Alta above the island’s east coast in spring and you’ll see the fields coated in the voluptuous green leaves of tobacco plants. 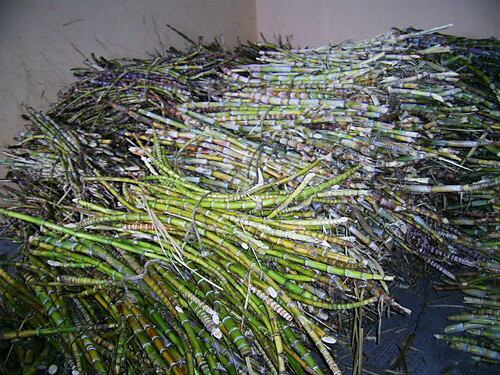 Once harvested, the stem is cut and the leaves hung up to dry for three months or more while the stalks are left to compost down in the field. Wandering the pretty courtyards and orchards of Finca Tabaquera El Sitio, one of La Palma’s family run tobacco farms, the trees are heavy with oranges and mandarins as we make our way to the drying sheds where orderly rows of leaves hang from the ceiling, their colour ranging from green to burnt gold depending on how long they have been drying. 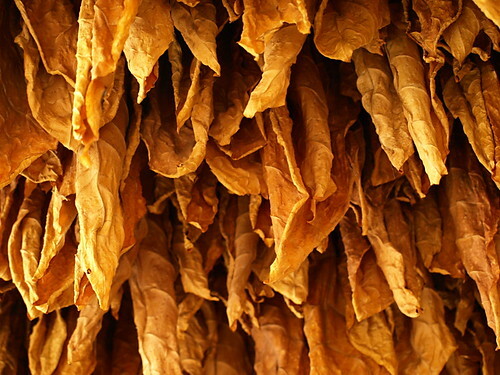 Soft to the touch and already smelling of cigars, the leaves are graded and sorted before being placed in large sacks to begin the ageing process. In the factory, it’s leaves from 2009 that are being used to roll the cigars as we watch. The word ‘factory’ hardly applies to the small, bright cottage in which three women sit, skilfully folding leaves to form the central body of the cigar, rolling them in an outer leaf known as a capote, finishing the tip with a fine leaf known as la capa and placing them in a cedar wood press. The whole process is completed by hand with only the cigar clipper which tidies up the end passing for machinery. 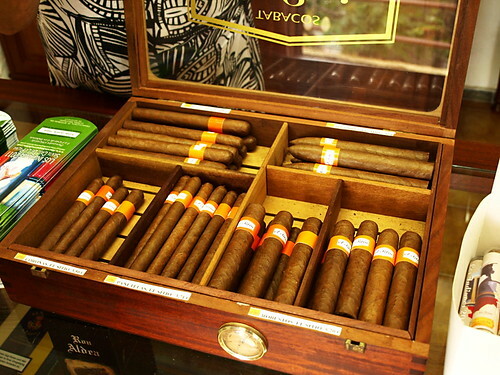 Cigars from La Palma are predominantly exported to mainland Spain and Europe but you can find them for sale over the island and on the neighbouring Canary Islands and have been compared in quality to their Cuban counterparts, at least, that’s what they’ll tell you on La Palma. Further along the east coast, beyond the capital of Santa Cruz de La Palma lies the pretty coastal resort of San Andrés and on the cliff overlooking the bay is the rum factory of Ron Aldea, now managed by José Quevedo Rodríguez, fourth generation of this rum brewing family. 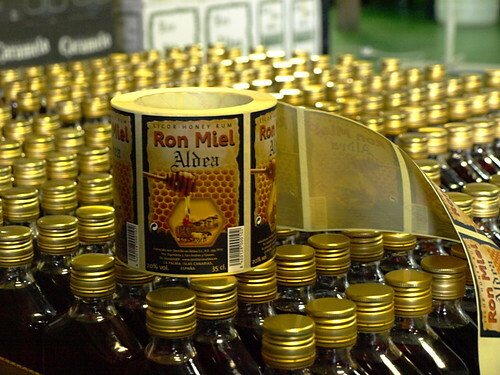 Unlike most commercial rum manufacturers who use the molasses which is produced as a by-product of sugar production, Ron Aldea uses the raw sugar cane from which to extract the guarapo or pure sugar cane juice from which the rum is fermented. The resultant rum is exported across the world and has a reputation for fine quality, smooth finish and distinctive taste, a fact which, unlike the cigar quality, I was happy to confirm for myself. You can pick up bottles of Aldea Rum at the factory in San Andrés and in supermarkets all across the Canary Islands.